NEW YORK (AP) — The board of American International Group Inc. has approved the sale of its Asian life insurance arm to British life insurer Prudential PLC, according to media reports Sunday. The Wall Street Journal, citing unnamed people familiar with the matter, reported that the deal could be announced as early as Monday. Prudential would pay with a mixture of $35.5 billion in cash and stock, it reported on its Web site. Talks of a deal were first reported by Sky News. 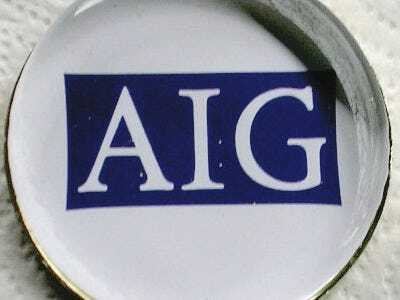 AIG has said it plans to sell the unit, American International Assurance Co., or spin it off into a separate company through an initial public offering, in order to help pay off the debt it owes to the U.S. government. Messages left with AIG and Prudential seeking comment were not immediately returned. AIG said Friday it lost $8.87 billion in the fourth quarter as its general insurance business remained weak. It also warned it may need additional support from the government. However, AIG has included such warnings in past filings with the Securities and Exchange Commission. AIG was bailed out in September 2008 by the government as the financial crisis spiraled out of control. The insurer has received aid packages with a total value of $182.5 billion from the government. In return for that controversial financial support, the government received an 80 per cent stake in the New York company. AIG has been working for the past year and half to sell assets and streamline operations in an effort to repay government debt. Since receiving the bailout funds, AIG has completed 19 unit sales or asset transactions. It continues to unwind its Financial Products Group, the unit blamed for AIG’s downfall. Earlier this month, MetLife Inc. confirmed that it is in talks with AIG to buy one of AIG’s insurance units. The two companies have been in discussions for months about a potential deal for AIG’s American Life Insurance Co., known as Alico. AIG reported $6.2 billion in expenses from repaying government loans in the fourth quarter. Prudential PLC is not connected to Prudential Financial Inc., based in Newark, N.J.